It's quick and tough, easy to use, and available at a price our competitors can't beat. 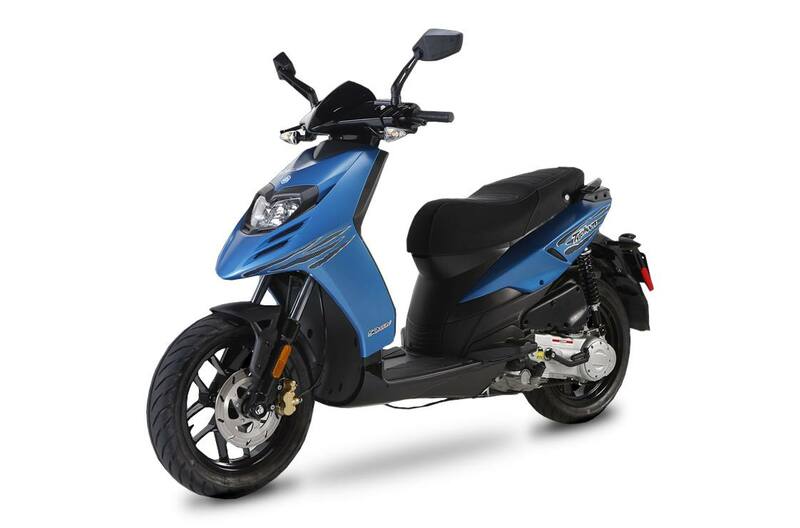 Designed in Italy, the Piaggio Typhoon 125 is fully automatic with a 125cc fuel efficient engine. You'll cruise over city streets and country roads comfortably with new fatter tires, a stronger tubular steel frame, and a lower seat height. Bring along a passenger or whatever you need for where you're going. When it's time to park it, there's plenty of locking storage for your gear. 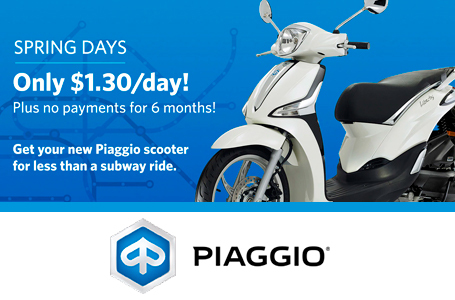 Maximum simplicity: The Piaggio Typhoon is ideal for daily use, perfect for running around town and getting from home to school. 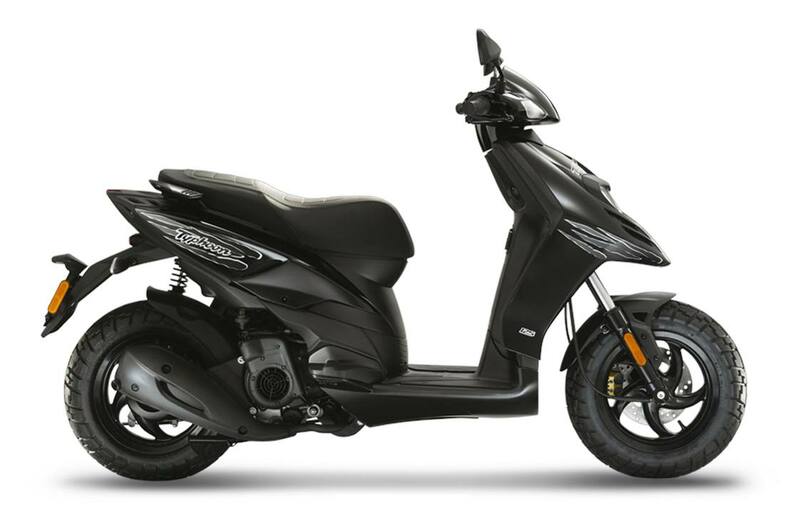 The underseat compartment comfortably holds a full-face helmet and you'll find a handy hook on the counter shield where you can hang your bag, while you enjoy each ride in comfort with your feet on the flat footboard. Everything about this scooter is easy right down to the instrument cluster with its speedometer, odometer and fuel gauge. Pure fun: One of the elements which marks out the Piaggio Typhoon is the set of 12" wheel rims with generous tyres characterised by a sculptured tread similar to that used for off-road vehicles. Because with Typhoon you don't stop for anything!